Progressive rock enthusiasts get to enjoy another epic journey of musical wonders from the talent laden band Transatlantic. The prog rock royalty of Neal Morse, Mike Portnoy, Roine Stolt and Pete Trewavas have done it again on their fourth slice of musical genius with Kaleidoscope. I know the word epic is overused within this community however there is no other apt word to describe what they have accomplished yet again on this recording. If you are going to purchase this album make it worth your while and get the special edition with the bonus CD and DVD, you will not be sorry. The “Making Of” is always so much fun to take in. Everything is done at Neal’s studio and it shows the listeners how the entire project is constructed from day one. The setting couldn’t by any more intimate as it brings you into Neal’s kitchen at lunch while the band members discuss the day’s events and their ideas for each track. This is a part of the Transatlantic releases I always look forward to. There is plenty to enjoy and laugh about as always so it is a welcome addition. On to the meat and potatoes now…the opening track "Into The Blue" is a prog rock omnibus encompassing a 5 part suite taking up a lofty 25:11 of the first disc. It is a grand way to open the curtain for this amazing super group. 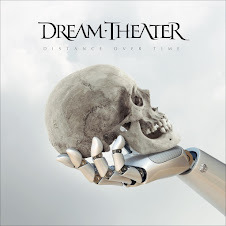 The first part is “Overture (instrumental)” which leads you into “The Dreamer And The Healer” then on to “A New Beginning” to “Written In Your Heart” and finalized with “The Dreamer And The Healer (reprise). Every aspect of this band is here in this suite for your anxious ears to consume. The songs link together like Mother Nature and the food chain while ebbing and flowing like the tides of the oceans. It is all done in true classic prog fashion like their forefathers Yes. What makes this machine work is their obvious chemistry, the undying love for all progressive music and lastly and most importantly, the multitude of talents every member has to offer. It is an all-inclusive display of those factors. This band’s respect for the music and from whence it came is written in their own signature sound. Their star shines so brightly with the first track then again comes out in many colors (indeed like a Kaleidoscope) on the fantastic cover songs on the bonus disc. 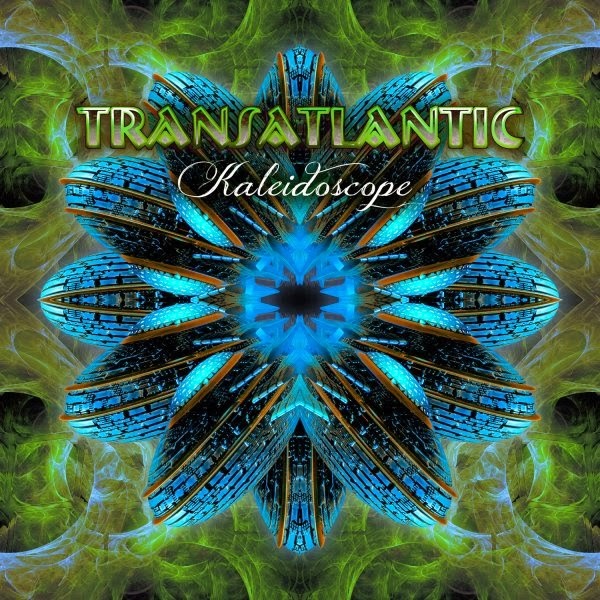 Everyone gets their opportunity to contribute vocals and instrumentation and it all folds nicely into one whole entity to make Transatlantic a special kind of experience. I like the fact that Mike is singing more all the time, he has so much energy and personality and his voice just lights up a room. His voice is very distinct and I for one like it. His choice of covering the Procol Harum classic “Conquistador” is well suited to his tone and approach. "Indiscipline (King Crimson cover)" is a superb prog classic done very well. With all of its twists and turns it was tailor made for this band to cover. As to be expected all of the instrumentation is exceptional and I think what makes it even more special for the band is that they really are all friends enjoying the process of creating. It becomes obvious while watching the video footage in the studio and around Neal’s home. As a fan and appreciative listener I feel like I became a part of this recording in a different way when I experienced their “process” as they went through it. Now to close the curtain they do it again with another huge musical mountain climb to the zenith of prog rock with the title track “Kaleidoscope.” This one exceeds the first epic coming in at 31:53. Everything sandwiched in between is excellent as well. “Shine” is a deeply touching spiritual track that fits in Neal’s back pocket like a well-worn glove. If you look at the titles of the tracks they cover the range of emotions one can have during the course of a day. This music spurs on emotions within and that is the whole point right? They succeed in many ways from where this listener sits. The complexities of the music do not overshadow the human touch on this recording, you can feel the music every step of the way and that is the beauty and simplicity of it. Complex yet simple- complete opposites of the spectrum yet it does work out that way in spite of the differences between the two. Everything about Transatlantic is unique, inspirational and musically solid. What they offer is musical perfection, prog rock nirvana and the complete musical experience. If you walk away from Kaleidoscope unsatisfied or unfulfilled you had better check the obituaries to make sure you are not listed. The members of this band are the keepers of the flame and the literal heartbeat of prog music today. It is highly recommended that you to listen to what they have to offer.